Sub Antix defies tradition even in the realm of ever-evolving electronic dance music. Anytime he hits the lab, the Canadian artist and producer, otherwise known as Keith Stewart, yields a diverse amalgam of dubstep, trap, drum 'n' bass, and more that's utterly undeniable. It's sinister. It's subversive. It's Sub Antix.Speaking of untraditional, Stewart began playing piano at a very early age, splitting his time between the instrument and video gaming. As he attempted to receive classic training, he began to prefer melody and composition to sightreading and theory. So, he went to the other end of the spectrum and played in a Vancouver heavy metal band throughout his high school years. 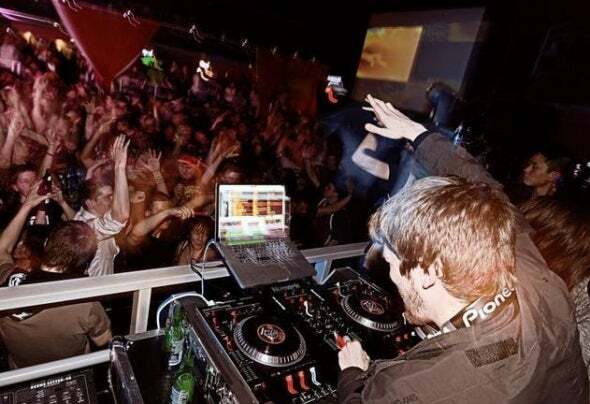 However, he experienced a revelation during his first year at college, becoming entranced electronic music. "It was so crazy," he recalls. "I was always an avid video gamer for my whole life. I loved the soundtracks of everything from Final Fantasy to Mega Man and Street Fighter. I would even leave my Super Nintendo on sometimes just to listen to the music while I was doing other things. In some ways, getting into electronic music was a resurgence of that nostalgia. "Galvanized by what he heard, he cooked up a track called "The Hunter" that was embraced by a prolific local DJ. Then, his next composition "Culture Shock" blew the doors wide open. Fellow Canadian artist/producer Downlink played it at the nations’ premier EDM festival Shambhala in 2011, and Stewart started to gain international recognition.After attending the same fest a year later, he signed to Datsik's Firepower Records. The label boss had been particularly taken by the darkly dreamy "80 Weight VIP", which Bassnectar started featuring nightly in his sets. Stewart's debut EP dropped on Firepower at the end of 2012 to widespread fan and critical acclaim.Now, he's upping the ante yet again. He put his inimitable personal stamp on Datsik's "Light The Fuse" as part of a special Dim Mak Records re-release. The track bares traces of its original DNA as Stewart injects invigorating energy into it. "I was so honored that Datsik approached me," he continues. "I knew I could turn it into a wicked trap mix, and I Profile Image (590x404)spent a lot of time on it. It's a big step towards my dream of getting my music to as many people as possible. "2013 will also him unleash another EP on Firepower including the 22nd century head trip "Leanin'." With its lush orchestration and overwhelming bombast, it's representative of his evolution. "That's a spacey, futuristic track," he says. "That was always my goal. There's a trap element, but it's big enough to get a crowd going. It preserves those old video game influences too. "The Sub Antix name means quite a bit to Stuart. "I wanted a name that would encompass a multitude of genres, hence the Sub," he explains. "For the Antix part, my tracks are a little cheeky. It's mischievous and off-kilter, like a video game villain. "Everybody's going to want to join him for the ride. "I want people to remember these songs," he leaves off. "Not all electronic music has to be just overwhelming bass, it can be atmospheric, subtle, and mysterious. Those nuances can mean the most."